Cheap countries to travel. We have been circumventing the globe backpacking for most of the last 5 years. 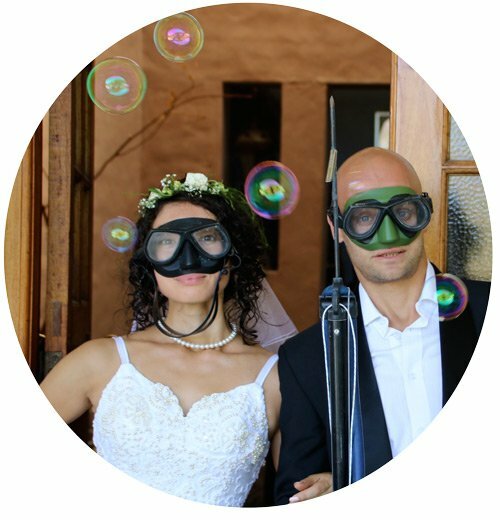 Our aim is always doing as many cool things as possible while spending the bare minimum. This article is not about the countries where we spent the least money. Even expensive countries can be travelled without spending money if you hitchhike, camp, couchsurfing and live on bread and water. These were our cheapest countries traveling as frugal backpackers. Traveling independent using local transport, shopping at local markets, do most of our own cooking and staying in hostel dormitories. Some optional activities completely change the budget required to travel a country. These are listed as an expensive activity and were omitted from the avg budget. 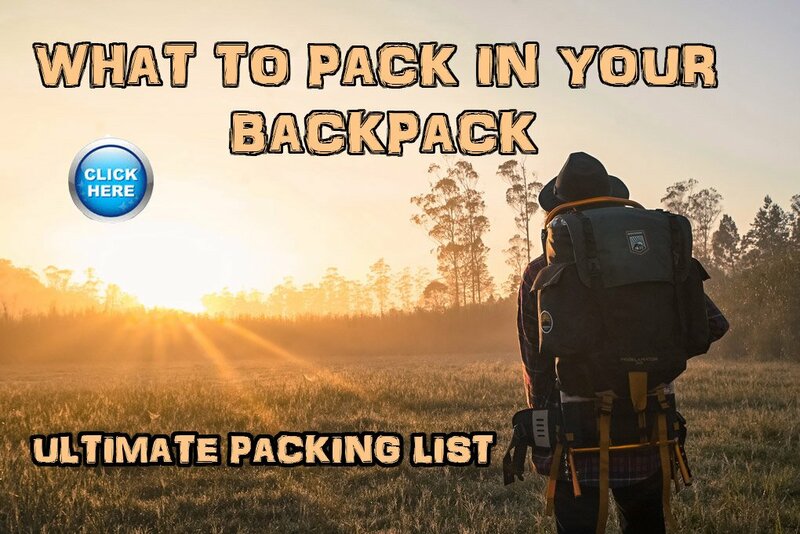 Want to see what we carry in our backpacks on longterm travels? 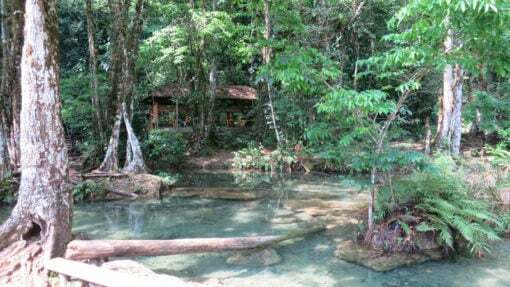 For a budget backpacking destination Venezuela can not be beaten. Living of $5 a day while staying in a private room and eating restaurant food 3 meals a day. It is a country with big economic problems. Inflation is 1600% and the minimum wage is $12 per month. We spent VEF 107 999 ($155) in 29 days, thus VEF 30723 ($5.31) each per day including all food, transport and other expenses. We had some great experiences backpacking in Venezuela. The people are very friendly and it really is a beautiful country, but traveling here is frustrating at times. The main annoyances being standing in line, the police, bad service, empty shops and crime. When we were here, September 2015, the official exchange rate was $1=B6, on the black market you could however buy B700 with $1! This means that a Coke will only cost 27c at the black market rate, but you will pay $33 for the same Coke at the official exchange rate! If you bring cash it is an unbelievably cheap country to travel. If however you draw money at an ATM or pay by credit card at the official rate it is maybe the most expensive country in the world. Our average budget was $5.31 a day each all inclusive. Most things, try not to get robbed. India is an amazing country to backpack on a budget, everything you need; cheap transport, cheap food and cheap accommodation. There are some amazing things to see and do, think The Taj Mahal, tigers, sleeping next to your camel in the desert and Holi the festivals of colors. We loved India! Eat the streetfood, super cheap and I still drool thinking about fried dahl, masala dosa and drinking cups of real chai. 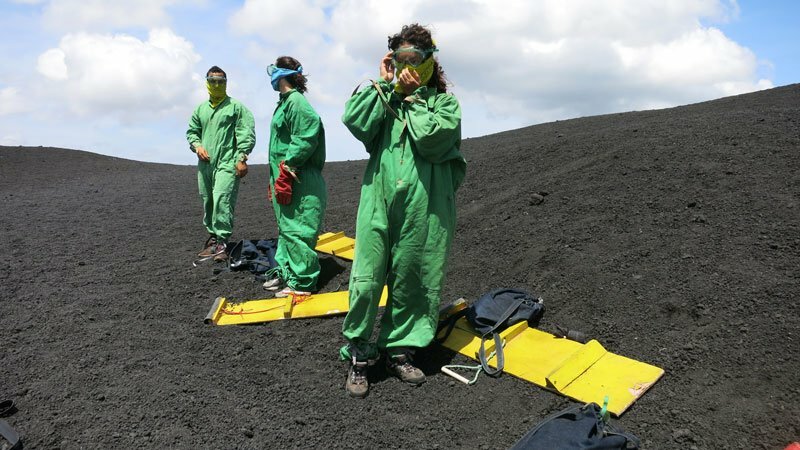 Exploring volcanoes, jungles, lakes and colonial cities made this an excellent travel destination. Cheap transport and food made a low budget possible We loved getting around using the colorful chicken buses. Living on cheap and delicious tropical fruit, tortillas and amazing local coffee made this country a favorite. We travelled around using the local ‘chicken buses’, transport worked out about $3 per day each. 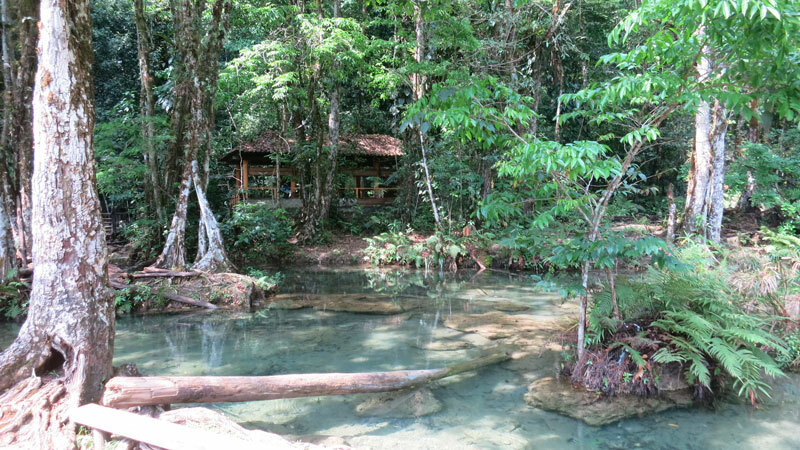 Go to Semuc Champey it is awesome, take your own food they don’t sell anything there, only a restaurant. Don’t let the hostel see your food. Hike up Mount Tajumulco. You can do a 2 day hike through an agency , prices are around GTO 400/$50, including transport (chicken buses), food, water, gear rental and guide. Bolivia is known as the cheapest country in South America. Here are some awesome attractions. The Uyuni Salt flats is a photographer’s paradise and was one of our highlights in South America. We were discouraged from hiking and camping on our own, due to muggings and robberies. Activities and tours were expensive like in all other countries. If you travel by bus and stay in hostels during your travels Bolivia will probably be your cheapest country in South America. The Uyuni Salt flats is a photographer’s paradise and was one of our highlights in South America. BOB 25 to 35 ($10-$12) for a double room per night. Hostel bed $7 per night. A set menu “menu del dia” at a local restaurants is good value for money at around BOB 6-10 ($2-4). It is normally a main course, a drink and sometimes a small desert. We often bought food at the market and cooked for ourselves. A 11 hour bus from La Paz to Sucre (700km) cost BOB 80 ($11.50), 7 hour bus from Sucre to Uyuni (370km) cost BOB 70 ($10). 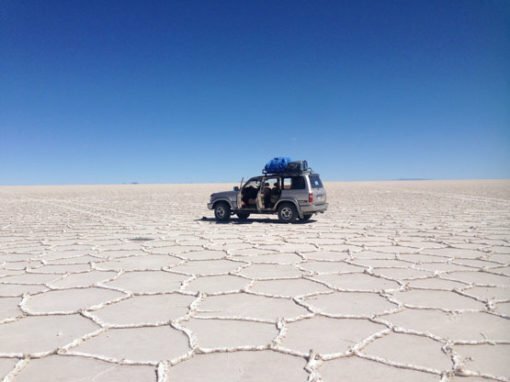 Uyuni Salt Flats Tour. Driving around the world’s biggest salt flats for three days was an awesome experience. This is a great way to cross to the north of Chili. The tour cost b$650/$94 per person for 3 days/2 nights including food, transport and accommodation. Where is that? it’s OK, many people asked me that. It is a mountainous country in the South Caucasus region of Eurasia, where Western Asia and Eastern Europe meet. So next to Turkey. The country is beautiful, safe, it is easy to travel here, has cheap transport and delicious street food. It was the world’s first Christian country and you can see mount Ararat, where Noah stranded The Ark from here. Our budget was about AMD7000 ($14) per day each. 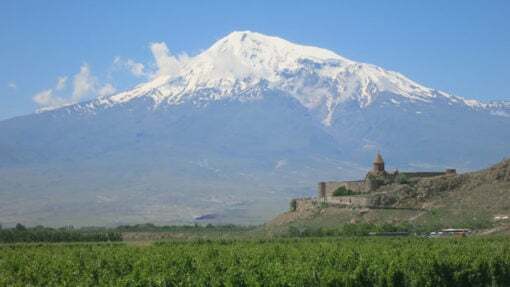 The Khor Virap Monastry with Mount Ararat in the background. According to the bible this is where Noah stranded the Ark. We liked the budget food in Armenia and lived on beef schwarmas (about $1.50) and flat bread with cheese for less than a $1. Brewed Turkish coffee in Armenia was good, strong and cheap 250 AMD ($0.60), make sure you ask for a Turkish coffee and the price, Americano is much more expensive at about 800 AMD ($2.40). You can easily go to all sites independent using marshutkas, the local public transport. These mini buses are cheap to use costing about 400 AMD (1$) for a half an hour shared ride. We hitchhiked often in the Caucasus area and the friendly people in Armenia made hitchhiking here a joy. A cheap country to travel with some amazing attractions e.g. Lake Titicaca, the Amazon and Machu Picchu. 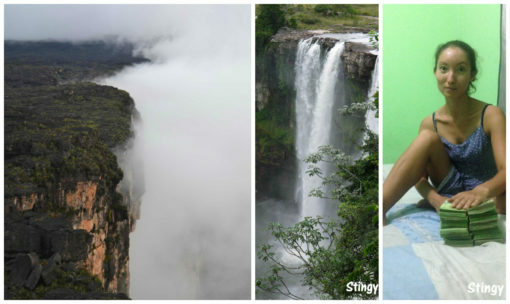 Unreal hikes that can be done on a super low budget. We did some awesome multi-day hikes here. Hiking made Peru cheaper not more expensive! During hikes accommodation was free and food was very cheap. Double room in a hostal PEN 52 ($15) per night. Dormitory Bed PEN 17 ($5) per night. Breakfast (some bread and tea) included at most hostels. The best place for lunch is a menu at one of the local restaurants. A Peruvian menú is a set meal including a starter (normally soup or a small salad), a main course, a drink and sometimes a small dessert. The price is PEN 5 – 10 ($1.5-3), we usually paid about $1.80 for lunch. We often used buses, the prices varied, we paid about PEN 15 ($4.50) for a longer bus ride of 6 hours (380km). Shorter rides of around 2 and a half hours were about PEN 10 ($3). Machu Picchu entrance is $40 including Machu Picchu Mountain. Machu Picchu is amazing despite the 4000 tourists a day, a must see. The Inca Trail -Prices for the 4 day group service Inca trail trek generally range between USD $560 to 1600 per person. I recommend skipping the Inca Trail, hike a different route. There are many amazing hikes around Cuzco and several options to hike to Machu Picchu. The Inca Trail is the most famous and most touristy, this does not make it the best. 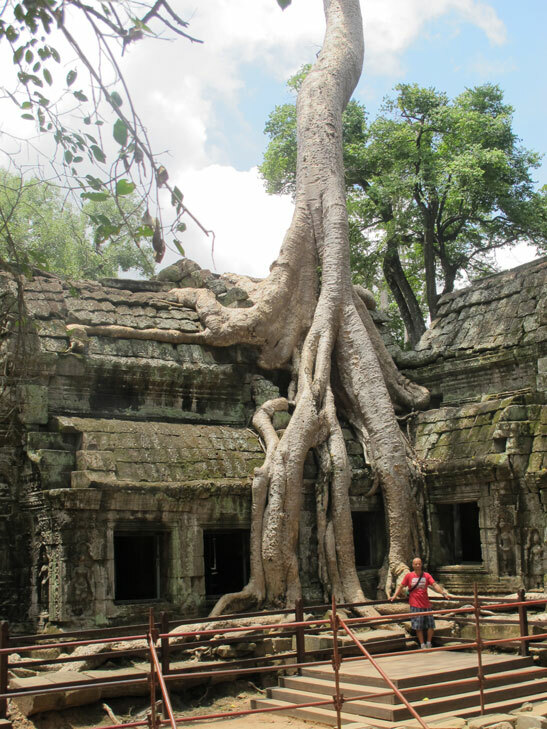 Everywhere on the South East Asia backpacker’s trail is cheap to travel, Cambodia might just be the leader of the pack. Ticking all the boxes for a great budget backpacking country; sites, cheap food, accommodation and transport. Food in local restaurants is cheap, I loved the Lok Lak (stir fry beef and veg with lemon sauce) Amok (curry with coconut milk) fish or chicken for about 10KHR(2.50$) per meal.Transport was cheap, paying roughly $1 per hour of bus travel. A local beer is about 4KHR ($1). Accommodation here is a bargain, paying about 12KHR ($3) for a bed in a dormitory and $8 for a double room. Phnom Pen is a cheap city with a lot to see. Sihanoukville is the beach party capital of Cambodia, cheap drinks and big boat parties, I did not really enjoy the crazy party scene here. Entrance to Angkor Wat is expensive at KHR80 ($20) entrance, but close your eyes and pay, it is a must see. Great surf spots on the pacific side, good Caribbean diving, beautiful volcanic islands and amazing biodiversity. Combine this with cheap accommodation and food to make a great budget backpacker’s spot! Double room in a hostal NIO 445 ($15) per night. Dormitory Bed NIO 207 ($7) per night. Transport with local buses was about $1 per hour. 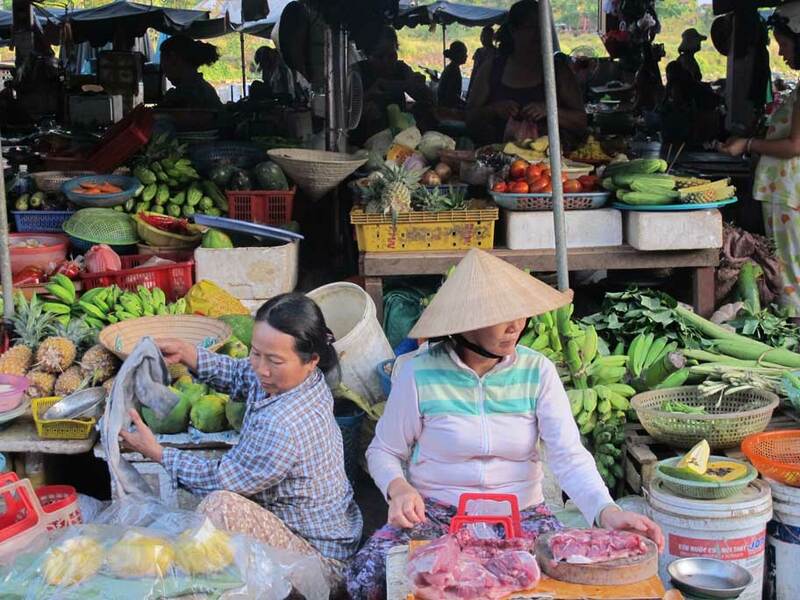 Shopping at local markets and supermarkets is cheap. We cooked for ourselves most of the time. The most popular dish to buy at local restaurants is gallo pinto (rice, beans, plantain and meat) about NIO100 ($3.40). We loved Little Corn Island! We stayed for 10 days on this great little Caribbean island, diving, snorkeling, running and drinking rum out coconuts that we picked on the beach! Buying a motorbike on a backpacker’s budget. Travelling around a beautiful country, with emerald waters and towering limestone islands topped by rain forests, oh yes and lots of rain. Drinking liters of great coffee and living of beef soup for lunch. Good diving and great adventures, I loved Vietnam. A place to sleep is a bargain in Vietnam starting with dormitory beds at about VND68 000 ($3) and a double room for VND182 000 ($8). For about $15 you can get a double room with AC, flatscreen TV, Spa Bath, etc. We lived of Pho Bo (Beef soup) for about 20,000 dong ($1) per bowl, for 35000 dong ($1.65) you can have a plate of rice, any kind of meat and some salad. We drank a lot of coffee in Vietnam, Ca Phe Den (black coffee) for about 10.000 dong ($0.50). This is a great country to travel by motorbike. You can buy a bike for $200 and a month later sell it for the same. Even if you break down in the middle of nowhere, in a little while someone will appear with a tool box that can fix any problem you can imagine, even replace your engine for not to much. Ha Long Bay boat trip 3 day 2 nights $70 , Hike Sapa Valley 3 day 2 nights $60. Africa is not a great continent to travel on a budget. Activities and sites are very expensive and if you make use of overland trucks or shuttles transport costs a lot. Lake Malawi is beautiful, with tons of amazing things to do around the lake. I spent 9 months in Malawi and it is the cheapest country that I have traveled to on the continent. Travel budget for Malawi $19 per day. 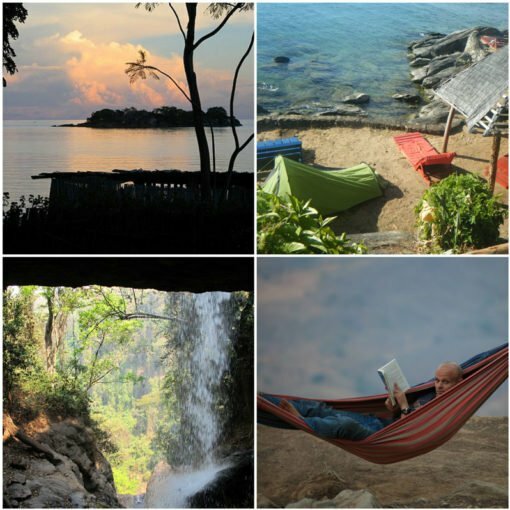 Some of the beautiful places to travel around Lake Malawi. Dormitory beds in a good hostel start at about MK5800 (8$) and a double room for MK18 120 ($25). Camping around the lake varies between $5-10 per tent. Shopping at the local markets is very cheap. A meal at a local market is about MK870 ($1.20) for a piece of chicken and nsima. Nsima is made from ground corn and the starch served with most meals. Local restaurants charge about MK2175 ($3) for rice with chicken/beef stew. At a hostel or western restaurant a burger and chips goes for about MK3630 ($5). Transport with a local minibus taxi is about $2 per hour. A local bus from Lilongwe to Mzuzu (354km) 6 to 10 hours is about MK7250 ($10). Malawi is very cheap if you travel independent, shop at local markets and cook yourself. Scuba dive in the lake, warm water, good visibility and see thousands of colorful cichlids – MK32 670 ($45). Go for a horse ride at Kande Beach, ride through bushes on the beach and take your horse for a swim! – MK32 670 ($45). Chile is the odd one out in the list, it is an expensive country. It was however possible to travel cheap. We spent CLP 653 600 ($ 979,50) in 82 days, thus CLP 11 970 ($ 11.95) each per day including all food, transport and other expenses. Our secret for traveling so cheap was camping, hitchhiking and couchsurfing. We never used public transport in Chile hitchhiking thousands of kilometers from the Atacama desert in the north to Punta Arenas in the south. We did many multi-day hikes in Chile and because we did it on our own it was very cheap. Hi Funi, thanks for reading. People speak Spanish everywhere in South America, in cities and places that often see tourists you will get by with English, but in more off-the-beaten-track places it is difficult. Alya is fluent in Spanish, so we never had a problem, but if you have a phone with Google translate you should be fine and the basics helps a lot. Safety, like in Africa every country is different. We were hitchhiking for months and never had a problem, we thought Chile is the safest country, but friends of ours got robbed in Chile walking around in a park at night with a nice camera. So if you use some common sense most places in South America is pretty safe. We started in Medellin, Colombia because we came from Panama, but flying to Rio or San Paolo is probably your cheapest way in from South Africa. Getting around is easy with flights or buses going to most places, prices are very different around the continent. More local style buses are cheap in Peru and Bolivia, but fancy buses in Argentina and Brazil are expensive. I wrote an article on our Budget traveling through South America https://stingynomads.com/south-america-travel-budget/ we discuss our budget for each country here. Regarding exchange we always travel with Visa cards and draw money as we go or swipe cards were it is excepted. Since you pay a R60 withdraw fee at most SA banks, draw as much as possible everytime, paying by card works out cheaper since you pay a percentage. Goodluck and safe travels! Such a great list! Thanks for this post. You have mentioned India, and as I’m from India I totally agree that India is a beautiful country and travelling in India is just cheaper than you can even think. Thank you for the comment! 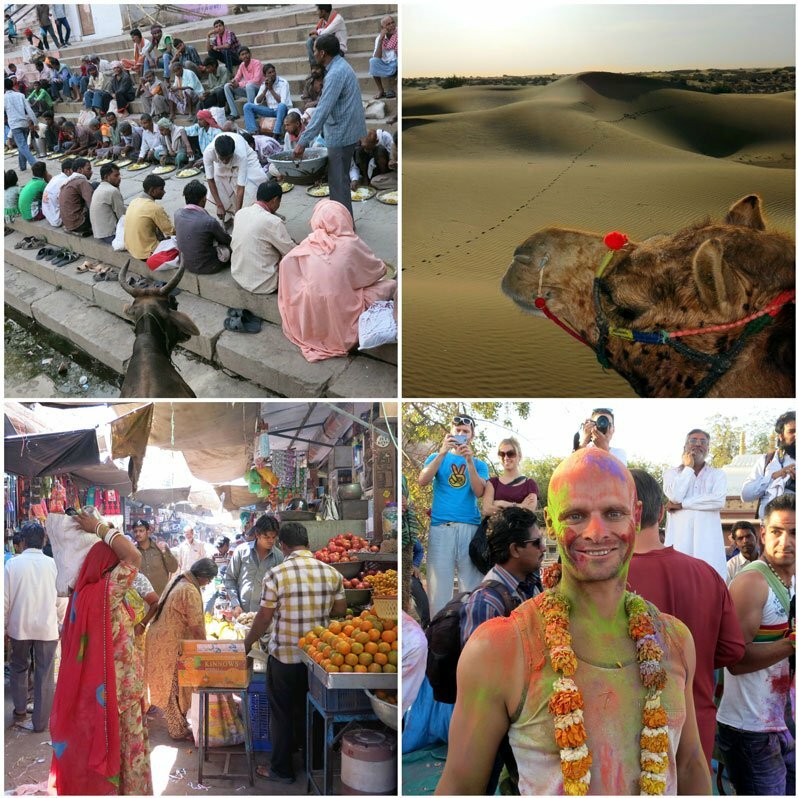 India is an amazing county with a huge variety of thing to do and to see. We definitely coming back one day! Great post, Campbell, I still have to visit a lot of the countries that you’ve listed, but now I have an extra incentive to go! Really useful information. Thank you Leanie, glad you enjoyed the post! Please let us know if you have any questions. Safe Travels! Fantastic list! I am almost ready to travel after reading this! You did such a great job researching these countries..
Hi George, thanks for reading, glad you liked the article! The budget for each country was not researched, it is exactly how much we spent while travelling there 🙂 Hope you make it to Peru, safe travels! This is an incredible list of travel possibilities. Retirement is just around the corner, and I will be selling it all and hitting the road. Thanks for this. I always eat the street foods and stay in the cheapo places. It really broadens your perspective on how the world operates. Hello, Mary! Thank you for reading! We’re sure you’ll enjoy travelling and experiencing different cultures and meeting new people!